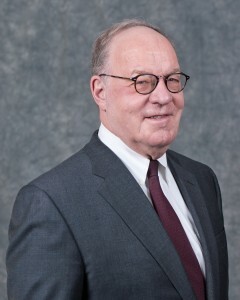 Mr. Matz has been one of the Nation’s leading banking corporate, securities and tax lawyers for over forty years representing banking institutions located throughout the United States. He has been involved in hundreds of transactions involving mutual to stock conversions, public and private issuances of common stock and debt by bank and thrift holding companies, mergers and acquisitions and corporate reorganizations. In addition, he has represented numerous private equity investors in structuring investments in banking institutions both with FDIC assistance and on a non-assisted basis. In addition to being issuers counsel in public and private securities offerings, Mr. Matz has also been actively involved in representing underwriters of such offerings ranging in size from $10.0 million private placements to very large public offerings. In the non banking area, he has represented public and private institutions in such diverse fields as office products and international casino operations. Mr. Matz was a member of the Economics Honors Program and played Varsity Football at the University of Virginia. In addition to his law practice, Mr. Matz serves on the Board of Directors of PacWest Bancorp based in Los Angeles, California and is an advisor to FIG Partners LLC, an investment banking firm based in Atlanta, Georgia. He is also the President of the Board of Trustees of the Tudor Place Foundation, a historic home museum located in Washington, DC and is a Trustee of The Philanthropic Foundation, a non- profit corporation based in Washington.